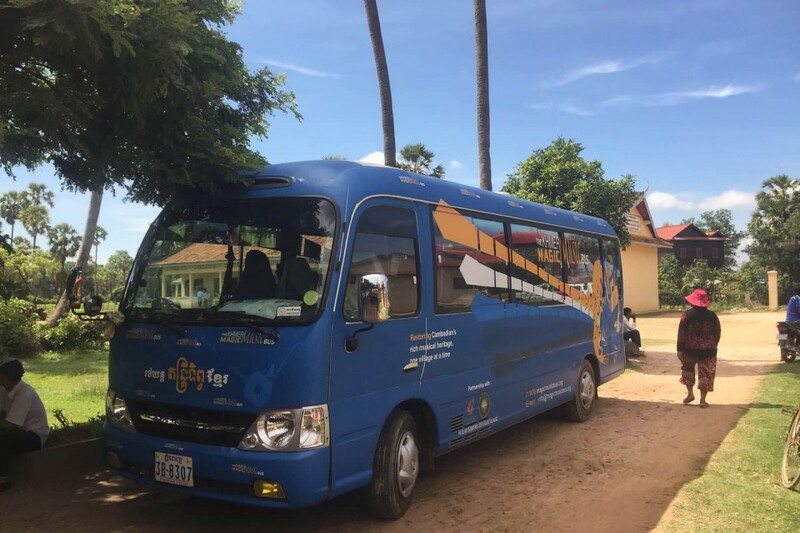 The Khmer Magic Music Bus (KMMB) received funding to visit our school and perform for our Cambodian students. 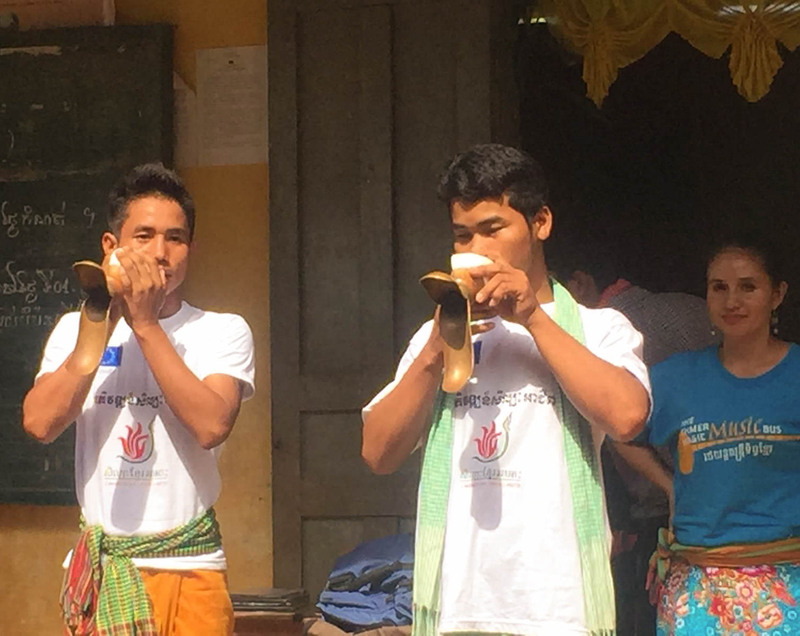 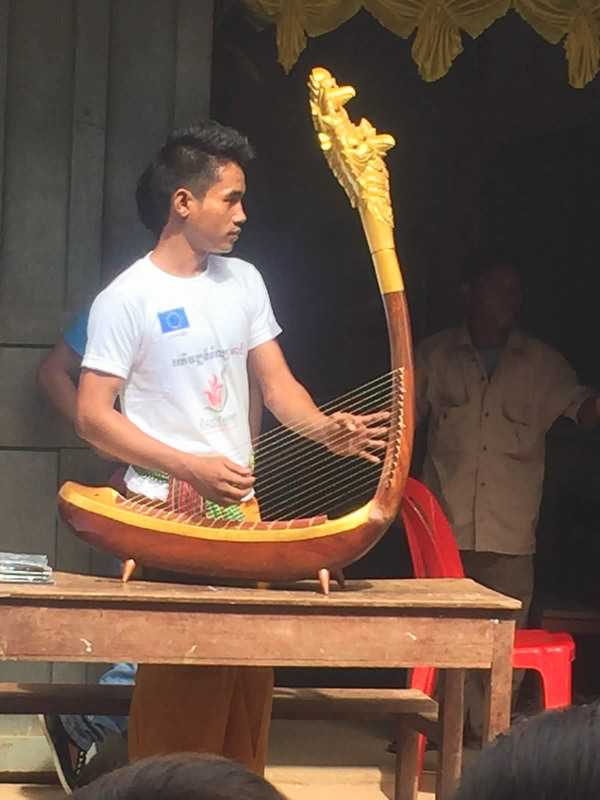 This musical troupe, headed by Ms. Thom Smeya, is a spin-off of Cambodian Living Arts and travels throughout Cambodia educating students about Cambodian music — both traditional and contemporary. 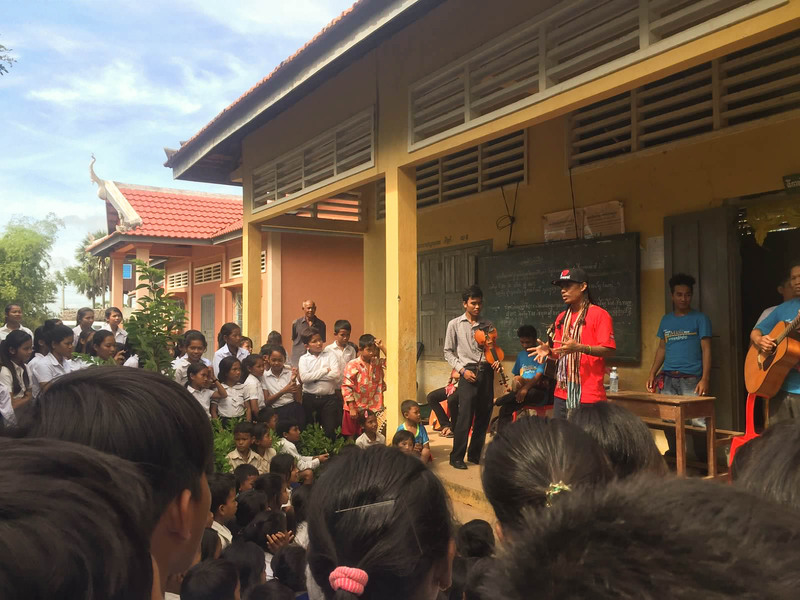 We are grateful to Arn Chorn-Pond, founder of Cambodian Living Arts (CLA), and Charley Todd, CLA Board President, for visiting our school with the KMMB.